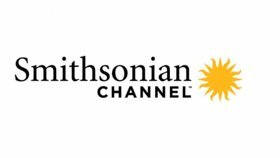 Smithsonian Channel celebrates Women's History Month with two new series featuring the real-life stories of Women who are symbols of empowerment, independence and strength. "Epic Warrior Women" exposes history's most iconic female fighters from the Roman Empire to Central Asia and West Africa. Each extraordinary tale of blood, sacrifice and endurance centers on the life of one young female warrior caught up in the bloody struggles of her time. "Epic Warrior Women" premieres on Monday, March 19 at 8 p.m. ET/PT. "Cleopatra" examines the life of Egypt's most famous ruler, the sole woman of her time to rule alone. It is a story of survival, political acumen, seduction and notoriety, revealing the reasons her name still resonates today. "Cleopatra" premieres Monday, March 5 at 8:00 p.m. ET/PT on Smithsonian Channel. Narrated by TV's "Wonder Woman," Lynda Carter, "Epic Warrior Women" highlights the women who fought just as courageously, skillfully and fiercely as male warriors of their time. With stunning re-enactments, original costumes, historic locations and CG animation, the three-part series chronicles the military achievements of the original Amazon horse warriors of the Steppe, probes the highly-trained female gladiators of Ancient Rome and concludes with the feared all-female regiments of Dahomey that shaped African history. Interviews with historians and archaeologists provide the background of the courageous and autonomous female fighters whose ferocity, physical prowess and bravery defy historical representations of women of their time. Discover the origins of the Greek Amazon mythology and find answers among the ancient nomad warriors of the Eurasian grasslands. Hailing from the Scythian tribes, these warriors controlled a swathe from Eastern Europe to Central Asia and kept the great powers of Greece, Persia and China at bay. Ancient Rome interpreted Greek mythology by encouraging gladiator women to fight to the death as Amazons in the arena. Explore how these young women managed to survive in desperate conditions, why so many were ready to die for the sake of public entertainment and what skills they needed to stay alive. "Epic Warrior Women: Africa's Amazons"
The Agoojj was a small but powerful fighting force of women in West Africa that steadily expanded in the 17th century against the much larger Asante and Yoruba Kingdoms. Learn how this all-female, slave-raiding regiment terrified both the local populations and the Europeans sent to conquer them. Smithsonian Channel honors another formidable woman in the two-part special "Cleopatra." She is an iconic figure and household name, but the real life of this historical woman is one that is shrouded in mystery. The series reveals how this capable sovereign survived a murderous and incestuous dynasty, securing her future by seducing one of Rome's greatest leaders, and how her fall from grace and ultimate death meant history would never forget her legacy. "Cleopatra" draws on dramatic reconstructions and evidence from key experts to tell the real story behind Egypt's most well-known, enigmatic ruler.